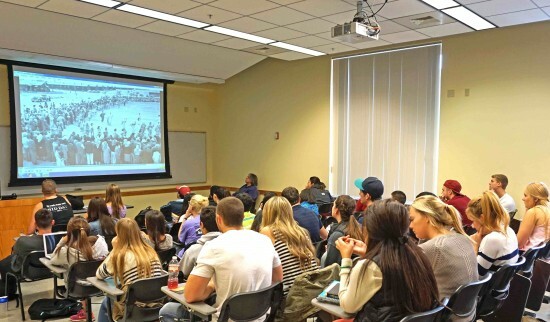 Campus-wide initiative engages students in stories of Japanese American incarceration. PULLMAN, Wash. — Japanese American internment has been the focus of many national Day of Remembrance activities and Asian Pacific heritage events. Perhaps none have been as extensive as Washington State University’s semester-long look into this time in history. Due to a donation by Patti Hirahara of Anaheim of her grandfather’s and father’s over 2,000 photos taken at the Heart Mountain camp in Wyoming from 1943 to 1945, WSU has taken an unprecedented step to highlight this period through exhibits, lectures, student profiles, the public television airing and screening of an Emmy Award-winning documentary inspired by the collection, and focusing on its own history through activities that will end on Dec. 13. The first wet and stormy evening of fall didn’t dampen the spirits of those who watched the documentary “Witness: The Legacy of Heart Mountain” at WSU on Oct. 15. 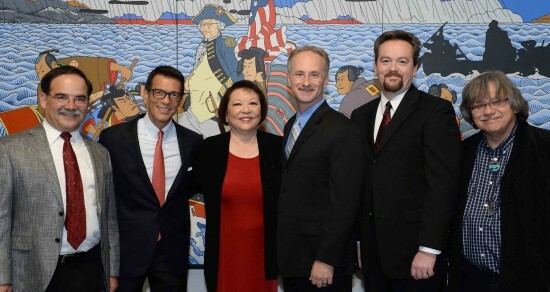 Following the screening, co-producers David Ono, ABC7 Los Angeles Eyewitness News anchor, and award-winning editor and videographer Jeff MacIntyre received the question that they hoped they would hear. It provided Ono and MacIntyre the perfect opportunity to urge everyone in the audience to keep the story alive by sharing it with family members, college roommates, teachers, and anyone who will listen. The screening coincided with a special Roger Shimomura exhibition curated by the Museum of Art/WSU (closing Dec 13). The exhibition features images Shimomura created regarding his internment as a child in the Minidoka camp in Idaho and other issues of racism and stereotyping, specifically of Japanese Americans. Complementing the museum’s exhibition, WSU’s Student Entertainment Board, in the Compton Union Building Gallery, displayed WSU memorabilia and items from the Hirahara Collection that reflected the time of internment and student life post-internment. Also on display were internment artifacts donated by WSU alumni (closed Nov. 14), a photo collection display of WSU’s George and Frank C. Hirahara Collection in the Terrell Library MASC (closed Oct. 31) and the Nov. 13 performance of “Within the Silence,” which was performed by Living Voices at the Daggy Hall’s Jones Theatre. “With the racial profiling we’ve seen since 9/11 and issues surrounding Fifth Amendment rights, this is one of those stories that should be at the top of everyone’s mind who is American,” Ono told the audience. WSU junior Gregory Lew’s grandparents were sent to the Gila River Relocation Center in Arizona. Based upon the limited information they shared about their camp experience, Lew knew his grandparents had to be strong to survive. Panelist and professor John Streamas said many high school and college textbooks don’t include the topic of internment and people are often shocked to learn something like this occurred in American history. College of Communications staff member and panelist Jeff Snell grew up in Powell, Wyo., about 20 miles away from Heart Mountain. His family frequently drove by the camp, but said the U.S. government kept so quiet about what was happening there, the locals didn’t even know. By donating her family’s photos to her father’s alma mater and having the collection receive an NPS Japanese American Confinement Sites grant to preserve the collection for future generations, Hirahara wanted these images to be a remembrance of all the internees that were in Heart Mountain. Numerous WSU colleges and departments organized lectures and hosted Japanese American alumni this fall. They include Agricultural, Human and Natural Resource Sciences; History; Engineering; School of the Environment, Critical Culture, Gender and Race Studies; Murrow College of Communication; and Athletics. WSU 1949 Outstanding Senior and Crimson Circle inductee Teruo Ishihara of San Pedro and Sam Higuchi Jr. and La Verne Abe Harris, descendants of WSU students during the 1940s, also traveled to campus, from Washington, D.C. and Phoenix, Ariz., respectively, to participate in this program. The day after the screening, KWSU-TV and KTNW-TV aired the documentary on Northwest Public Television. They plan to show it again in the near future. WSU was one of the few colleges that allowed Japanese American students to continue their education on the West Coast during World War II, and in 1946 WSU President Wilson Compton was a member of the American Education Mission to Japan to help reorganize Japan’s education system after the war. “Few knew how WSU was so involved during this time and through these activities, more departments are coming on board to share this moment in history,” Hirahara added. 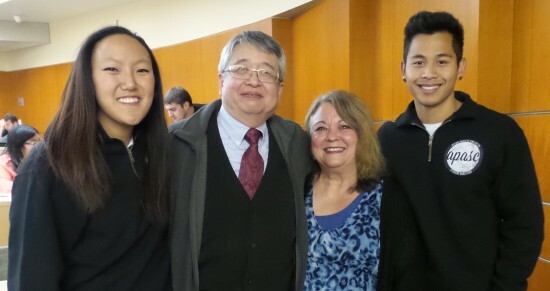 To view a complete list of internment-related events and highlights of the activities at WSU, visit http://museum.wsu.edu/events.html.